We got an interesting treat on this cruise that we have never had the opportunity to experience before. You see, even though we don’t have the wall space to hang many pictures in the RV, we still enjoy having paintings around. 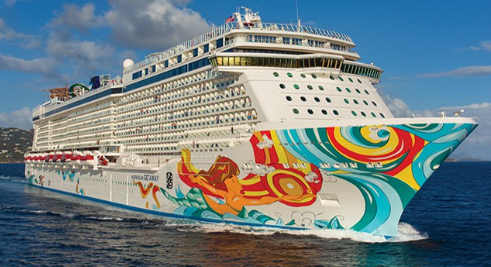 Norwegian Cruise Line has some kind of contract with Park West Gallery out of Southfield, Michigan, to run a gallery on board. 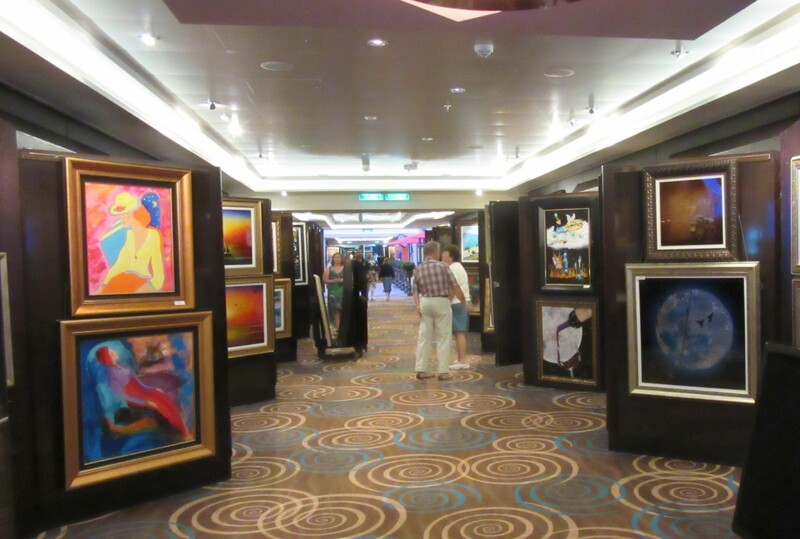 They bring quite a few pieces of art done by several artists on board to be viewed and auctioned. I enjoy the auctions, and we have bought several prints on other cruises (when we were Sticks and Bricks). 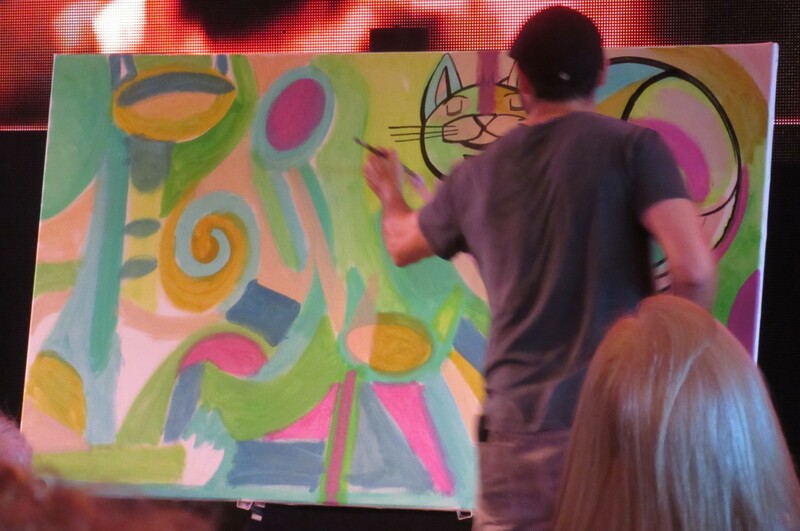 This time, however, they actually had one of the artists on the ship. 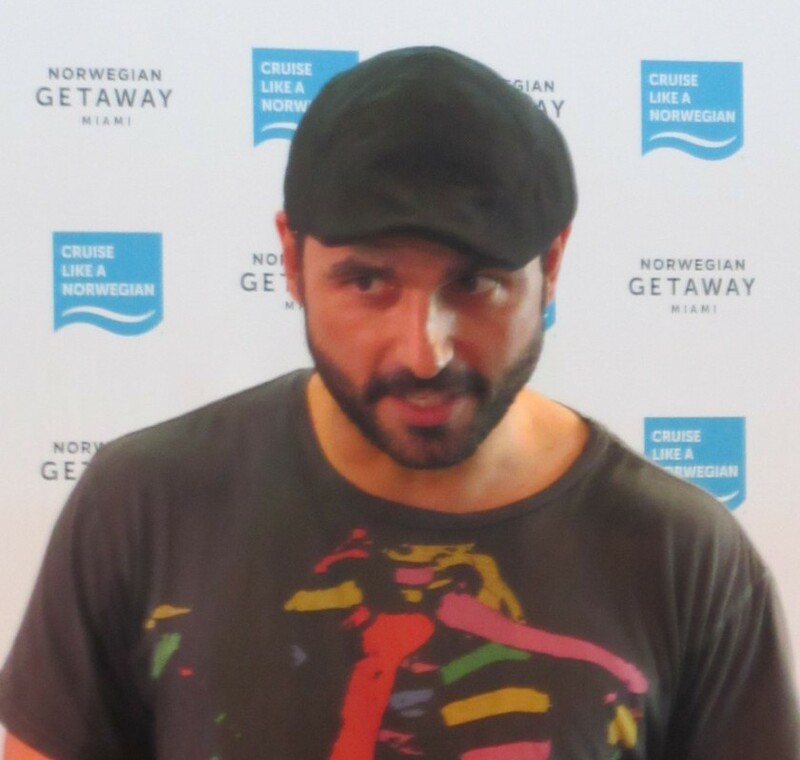 The artist was David Le Batard, who is known as Lebo. He was born in Cuba and immigrated to South Florida. 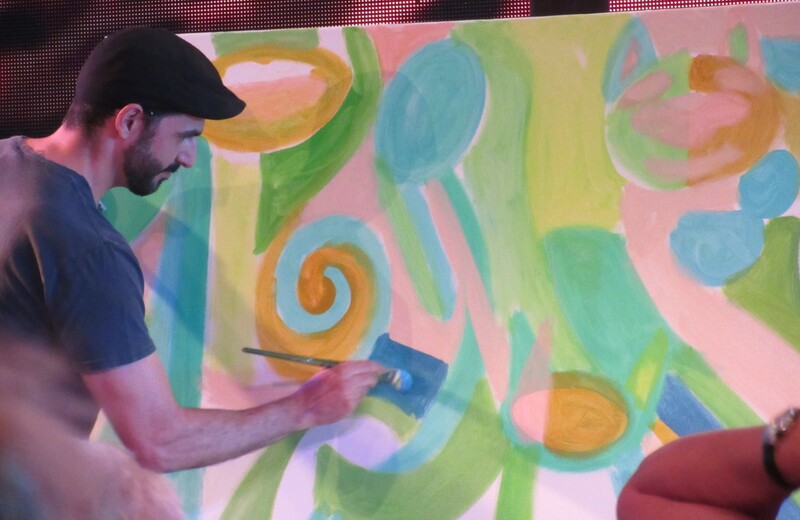 The neat thing was that he was scheduled to paint a work of art on this cruise. 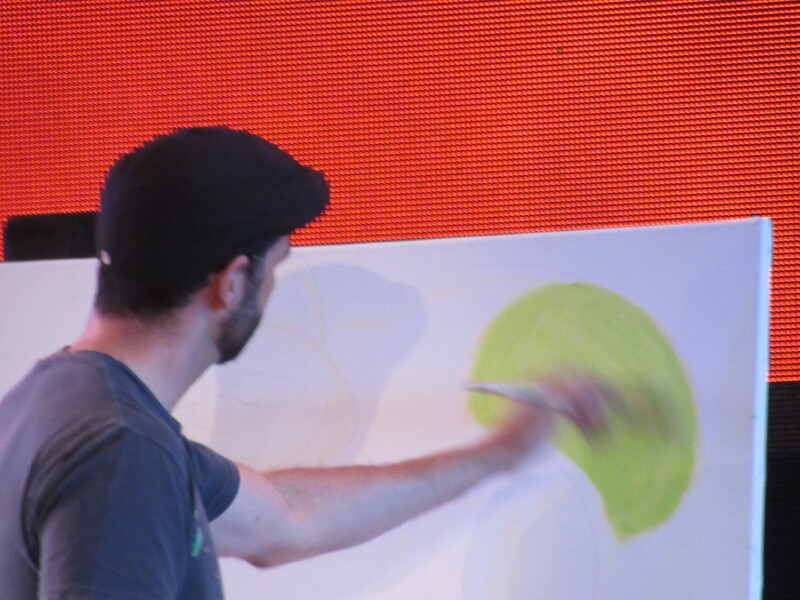 These next photos are Lebo painting on the cruise. In the beginning, there was a green circle. At this point, I’m thinking worm farm. By this time, I have no clue. 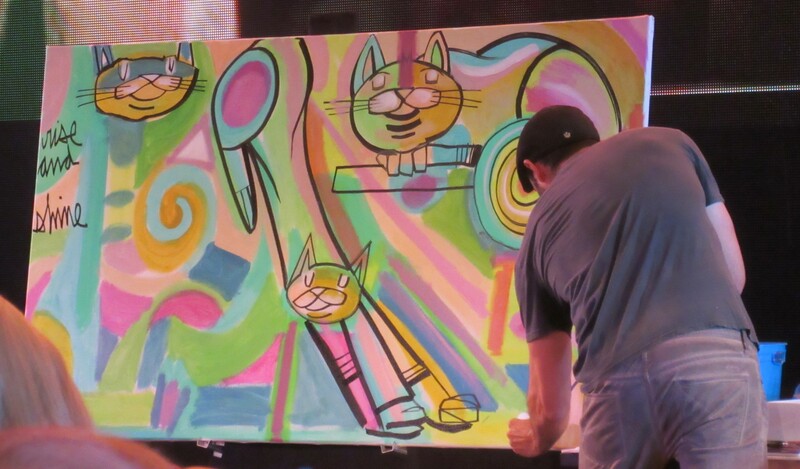 He completed this entire painting in 45 minutes. 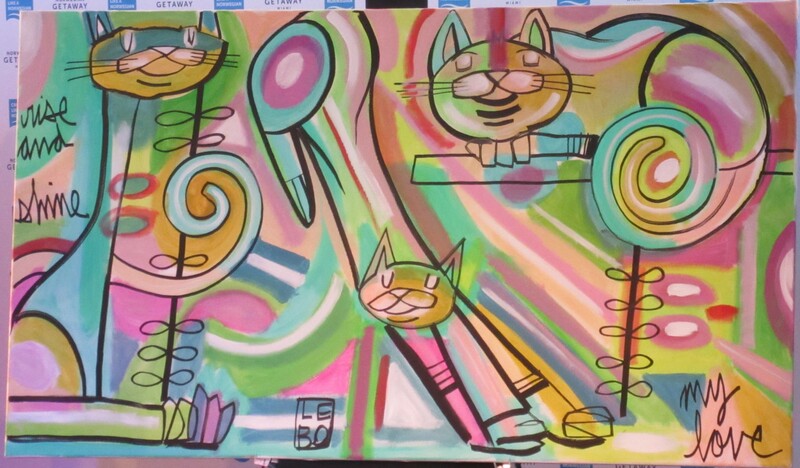 It seems a bit psychedelic in an “Aristocats” sort of way, but for someone who enjoys pastels and has a thing for cats, this is brilliant. If you think a cartoon artist could do as well, let me introduce you to one of Lebo’s more noticeable works. 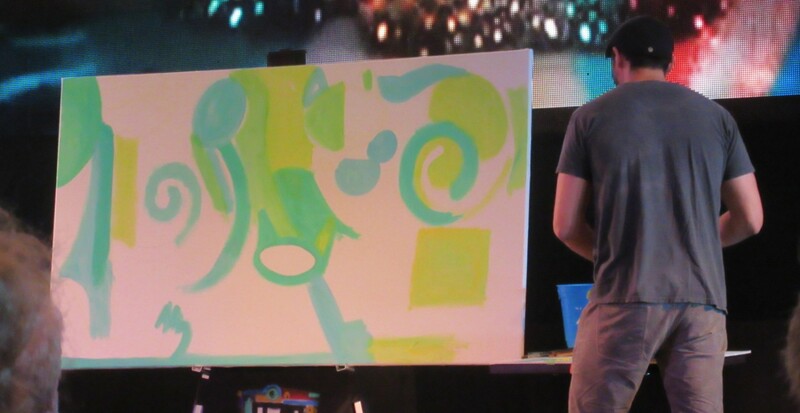 Yes, he was the artist who painted the Norwegian Getaway, he painted our ship. I’m betting it took him a little longer than 45 minutes on that one. One other quick little tidbit. 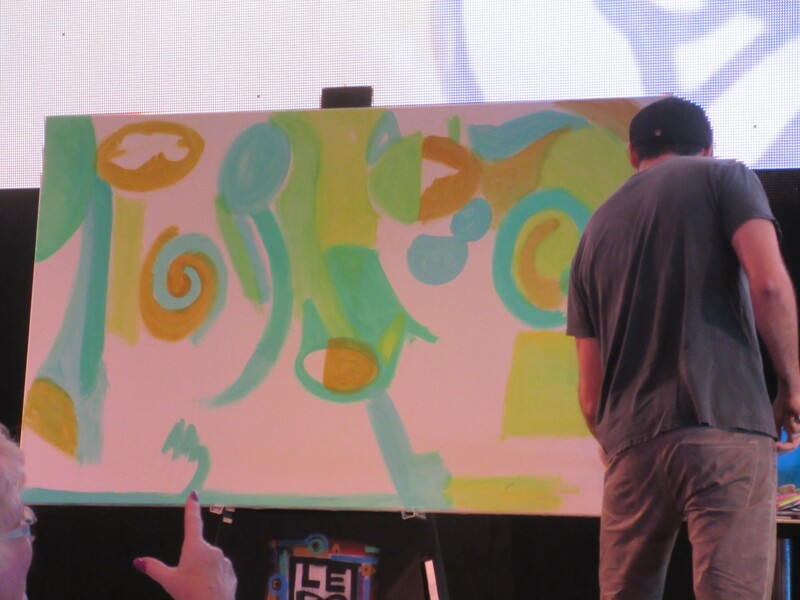 After Lebo completed the picture, he sat down to sign autographs, and we watched. One little girl came up, but the only thing she had to autograph was a balloon. Knowing that when the balloon would burst she would lose his autograph, Lebo had the head of Park West Gallery (who was also there) retrieve his personal sketch pad. Lebo flipped through the sketch pad, tore out a sketch, and signed it. So instead of having a signed balloon that would last for a day or two at most, this little girl had an autographed sketch he himself had drawn. Lebo is not only a fine artist, but he is also a genuine, great guy.